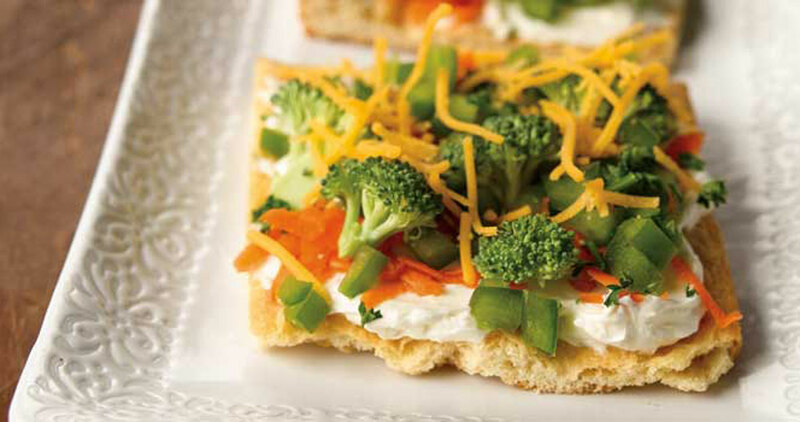 For an easy and colorful hors d’oeuvre, try the raw vegetable squares from Arleen’s Catering Recipes and Family Favorites. All vegetables should be chopped fine. Unroll crescent rolls, place in a 12-inch x 17-inch pan, and press together to make a crust. Bake until light brown. Mix cream cheese and garlic powder with enough mayonnaise to blend and make creamy. Once crust cools, spread cream cheese mixture on crust. Sprinkle vegetables and cheese on top just before serving. Cut into squares.